Save Florida Dolphins From Their Toxic Home ! PLEASE TAKE ACTION ! ! Florida county commissioners surrounding the Indian River Lagoon recently initiated a ban on fertilizers that cause toxins to seep into the water and kill the lagoon's dolphins. thx cher - noted & signed. Noted and signed petition...thanks for posting! Noted, already signed, thanks Cher. again, what is it going to take for these individuals who are provocking the total massacre of our animals & their eco-systems to colapse to stop this?! what, your r just going to rid us of all our animals & then what, then what?! OH, HOW WILL YOU REGRET THIS IN A FUTURE, HOW FOOLISH YOU WERE!! Noted and Signed Cher -- Thank you so much for getting this into the news! Noted and signed. Thank you Cher. signed on February 26, 2011. How could anyone hurt a dolphin in any way? Thank you Cher for sharing. I noted and took action! 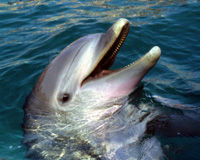 I welcome any animal lover, especially lovers for Dolphins, to visit my post on ~~ ANIMALS ARE PARTNERS IN OUR SPIRITUALITY ~~ You will need to copy and paste from here. It is about Dolphins and their spirituality. Signed and emailed to my Care2 friends.